Posted in Countryside in Paris, Secret gardens, What's on in Paris? Small garden, pretty wild, open exceptionally on the occasion of the garden festival! On 26 and 27 September, the annual Festival of Paris Gardens opens up the green spaces of Paris for two spectacular days. It features hundreds of free events in gardens throughout the French capital – from guided tours and walks to concerts and exhibitions. An enchanting and peaceful square behind the Sacré Coeur in Montmartre! Parc de la Tourette, behind the Sacré Coeur and so peaceful when hundred of tourists stand in front of the church. very few tourists go there. Posted in Secret gardensTagged Secret gardens1 Comment on An enchanting and peaceful square behind the Sacré Coeur in Montmartre! 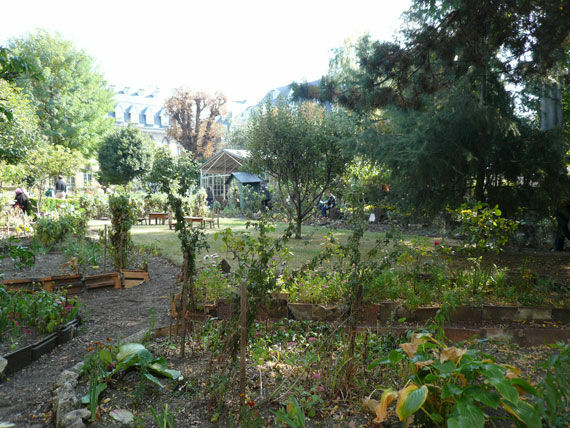 Thousands of tourists are visiting Montmartre each year without having the chance to have a peaceful rest in this garden very difficult to find.